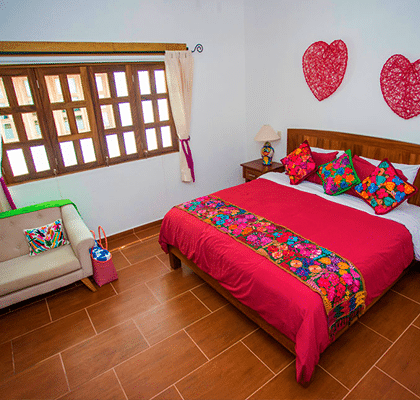 Filled with surprises in every corner, Refugio del Mar in Bucerias, Mexico will surely be a loving adventure. Located in Bucerías a traditional Mexican town with cobblestone streets, brightly colored homes with enormous wooden doors and an overall feeling of tranquility. Visitors come in search of fun and relaxation in Refugio del Mar, perfect for young children, adolescents and tourists of all ages. Located in Bucerías, a Mexican town with cobblestone streets, brightly colored homes with enormous wooden doors and an overall feeling of tranquility. EL CAFÉ DE BUCERIAS: El café de Bucerias opened its doors to the public October 2016 offering one of the best menu options in town. If you are a Vegie lover, Meat eater or simply a coffee addict… you should visit us. Serving panninis, hamburgers, tacos, cake, muffins, salads, sandwiches, coffee, milkshakes, smoothies, vegie options and much more! LUPITA COSTA GRILL: Opened its doors December 2016, Since then, it has been positioning itself as one of the best restaurants in the area. Having a balanced menu, we are sure you will find something you will love. Although our restaurant’s specialty are steaks, that doesn’t mean we don’t serve the best pastas and seafood in town. In Lupita Costa Grill you will find what your taste buds desire most. Both restaurants are nearby to the hotel. We know how important it is when you travel to the beach. That’s why in Refugio del Mar gives you chairs and umbrellas so all your moments are full of comfort and relaxation.